Hiring a Zero Fee Guarantee Injury Lawyer | What's the Cost? | Keller & Keller Keller & Keller's Zero Fee Guarantee This video explains how ANYONE can hire a top-rated attorney if they offer a Zero Fee Guarantee. If you’re injuries are the result of someone else’s negligence, you deserve money for your medical bills, lost wages, and pain and suffering. Many people understand the importance of professional legal help but mistakenly think they can’t afford it. At Keller & Keller, we believe every accident victim deserves to have an experienced lawyer on their side. That’s why we offer every client a Zero Fee Guarantee. What does the Zero Fee Guarantee mean? 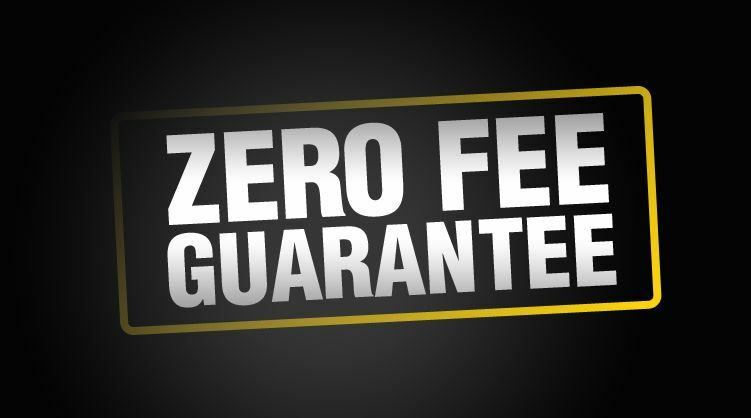 The Zero Fee Guarantee is a no-risk promise that guarantees you’ll never pay us a dime until your case is won or settled. Insurance companies pay high-priced attorneys to fight your claim and pay less than you deserve. Now you have the opportunity to fight their tactics with an award-winning law firm that has been helping injured people since 1936. Simply put, you need to hire a law firm that means business. The initial consultation is always free, so you can speak to our 24/7 legal team right now. What types of Cases Have the Zero Fee Guarantee? Every case receives our Zero Fee Guarantee, so no matter the size, type, or location of your accident, you can afford to hire one of the nation’s premiere law firms. Where can I find the Zero Fee Guarantee? Keller & Keller’s attorneys are licensed to practice law throughout Indiana, Michigan, New Mexico, Illinois, Kentucky, and Florida. And depending on the circumstances surrounding your accident, our attorneys can help with specific cases throughout all 50 states. No matter where you live, no matter where the accident happened, when you hire Keller & keller to represent you for your potential case, you'll also find our Zero Fee Guarantee. In addition to our Zero Fee Guarantee, when you hire Keller & Keller, you’re the boss. This means you’ll have access to a cutting edge law team, including attorneys, paralegals, investigators, and support staff. Additionally, your case will never settle until you give us authority to do so. You can speak to one of our legal representatives right now by dialing 1-800-253-5537, or if you prefer to write to us with the details of your potential case, use our free contact form or chat service. * Client remains responsible for costs, expenses, and disbursements within the scope of representation, and the Zero Fee Guarantee is subject to and conditioned by this firm’s written contingent fee retainer agreement, which includes continued responsibility for legal fees if firm’s services are discharged. Posted on 11/01/2018 What Is the Difference Between an Indiana Car Accident Claim and a Lawsuit?